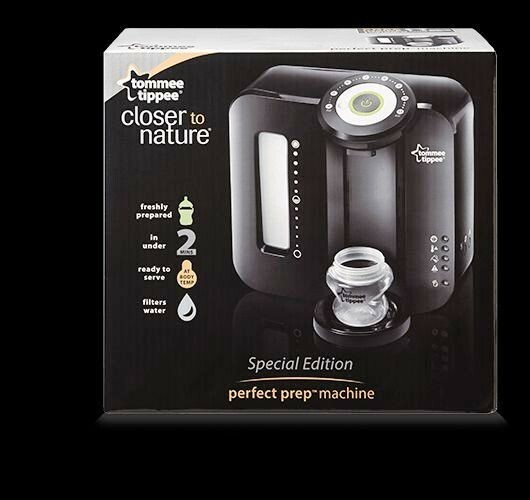 With the Perfect Prep machine you no longer have to sit by and wait for boiling water to cool as it is designed to make the process of preparing a bottle easier and more accurate. 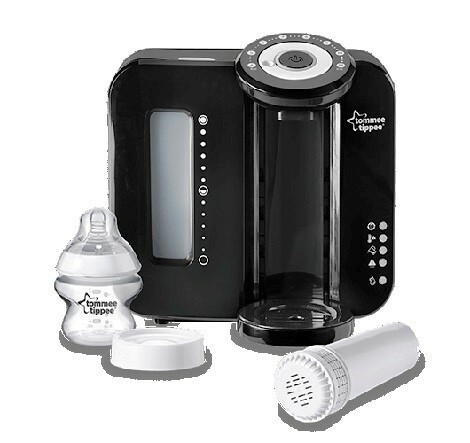 It filters the water to remove impurities, it measures the water for greater accuracy, and it even controls the temperature of the water so parents can deliver the hot dilution and still cool it to body temperature ready to serve. 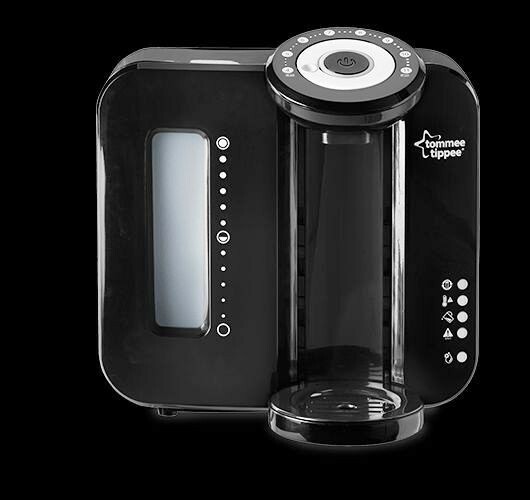 And it does all of this in under 2 minutes which is up to 10 times faster than a traditional kettle! Quick, easy & accurate bottle preparation. Compatible for use with all brands of formula powder. An initial hot shot of water kills bacteria that may be present in the milk. Machine accurately measures out the balance of water required. Ready to serve at body temperature in under 2 minutes. This method is up to 10 time faster that using a kettle. 1 x Perfect Prep machine. 1 x 150ml bottle with slow flow teat. 1 x milk storage lid.